Kent is certainly a sunny part of the country. Its proximity to the rest of Europe makes it subject to the continental weather influences, creating quite humid conditions. The best way to fix this is to choose an out of the way beach, and with Thanet there is a sizeable number to choose from. The splendid countryside around Thanet is rather unappreciated, but it has fantastic light, hence why the artist Turner kept returning to the area to paint his landscapes. The beauty is free for you to enjoy. While you are in Broadstairs it is worth taking in the sights, there are several fairs which occur throughout the year, including costumed Dickensian fairs. There is certainly a timeless traditional feel, the whole place has a Edwardian feel to it. Even away from the sea Broadstairs has a timeless quality, what with the Bleak House overlooking the harbour and the historic York Gate leading down to Viking Bay. You might even find the house of the late animator Oliver Postgate which is near the promenade. It is certainly a contrast to the more busier parts of Thanet, such as the Westwood Shopping Centre, which has all the big high street names. It is reachable by bus from the main urban areas of the Isle. One of the famous Londoners to explore the delights of the Isle of Thanet is Derek “Delboy” Trotter who famously took a beano, or day trip to Margate. Historically Margate was always popular with Londoners, especially with its B&Bs, though it has had a long fallow period. As with Brighton it has a history of bikers visiting the town, but the rallies are fortunately few and far between. There still is a welcome for the descendants of the original mods and rockers. Margate has link to Tracy Emin and it worth exploring the smaller shops and exhibitions in the Old Town. These are not far from the main beach. There is a harbour arm where there are several art galleries and a restaurant. Further from the beaches you might like to see out the Tudor House, which is quite cheap to explore, as well as the mysterious Shell Grotto. No one quite knows why the Shell Grotto was built, but it is certainly worth a peruse. Further afield from the centre of Margate is the Hornby Hobbies Visitor Centre with several model train and Scalextric layouts to explore. Note too that they have special fun days including outdoor activities. If you spend a whole morning or whole afternoon here it might help to keep costs down? Ramsgate has several beautiful gardens to explore, made from a special rock called Pulhamite. There is a Royal Harbour to explore with various antique shops to explore, and a Seaman’s church. There is a yachting regatta every August, which is a brilliant spectacle. Further afield is the bric à brac market named Petticoat Lane on the road to Broadstairs. Though you might be more au fait with the other Petticoat Lane this place, which is open every day, is well worth a visit. The more culturally minded might wish to seek out the Grange house and the nearby St Augustine’s Church both designed by gothic architect Augustus Pugin, who created the architecture for Big Ben and the houses of Parliament. Whether you like the crowded beaches or the more obscure places there’s something here for you. When most people head to Thanet is to the Dreamland or Turner contemporary art gallery, but there are so many beaches around the Isle of Thanet. 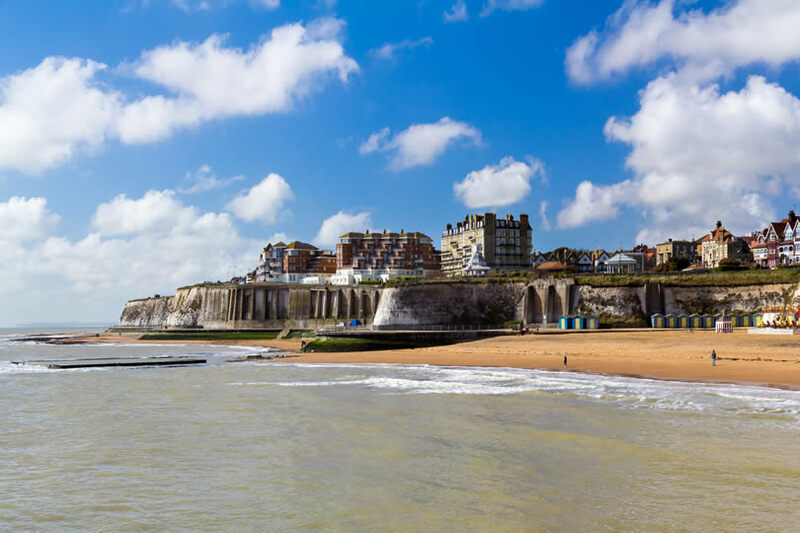 There are secluded beaches such as Walpole Bay as well as the huge horseshoe shaped bay in Broadstairs. Broadstairs may not be the best choice if you are on a budget, but the coastal towns of Margate and Ramsgate are. Please note that dogs are banned on the beaches between May and September inclusive. Between July and September the lifeguards patrol daily most of the main bays-however out of season the majority of bays are only patrolled at the weekend. If a red and yellow flag isn’t flying it means that the beach isn’t being patrolled. Even then you should keep within the area marked by flags and/or buoys. You may create a beach barbecue, but only after 6pm. If you require an early barbecue you maybe able to organize one at Joss Bay in Broadstairs if you get prior permission to do so. 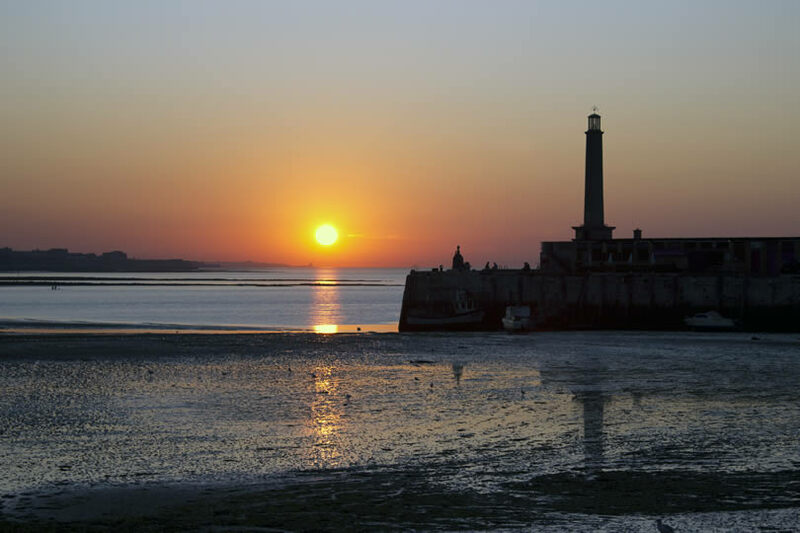 Three beaches along the Thanet coast-Viking Bay, Margate Main Sands and Westbrook Bay won the seaside awards. The seaside awards designate beaches with clean sands as well as water that complies with the high quality water standards. In addition to this seven beaches won blue flags. If you are on a budget it is not a good idea to spend money on loungers and deckchairs. 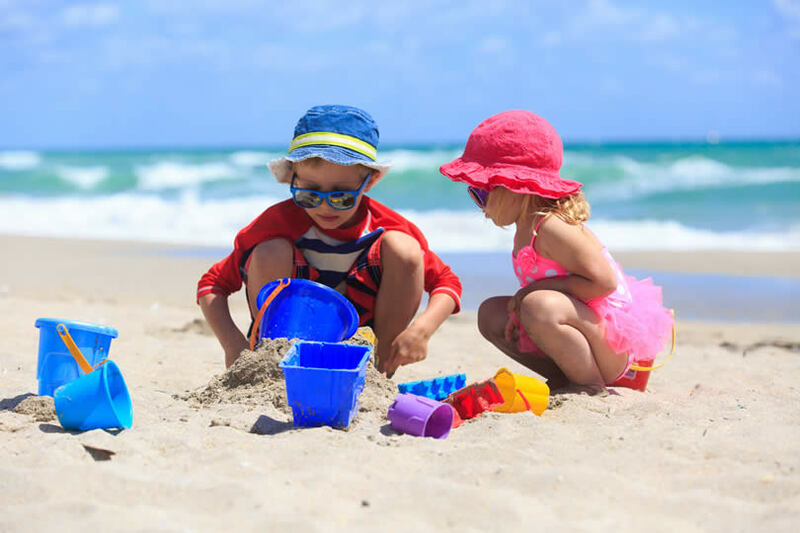 Look for cheaper stores in town for buying ice creams, rather than buying from the vendors nearest the beach (this only works though if you are in Ramsgate, Margate or Broadstairs, it doesn’t work for the more isolated beaches! Another idea is to buy soft drinks or lollies as an alternative. 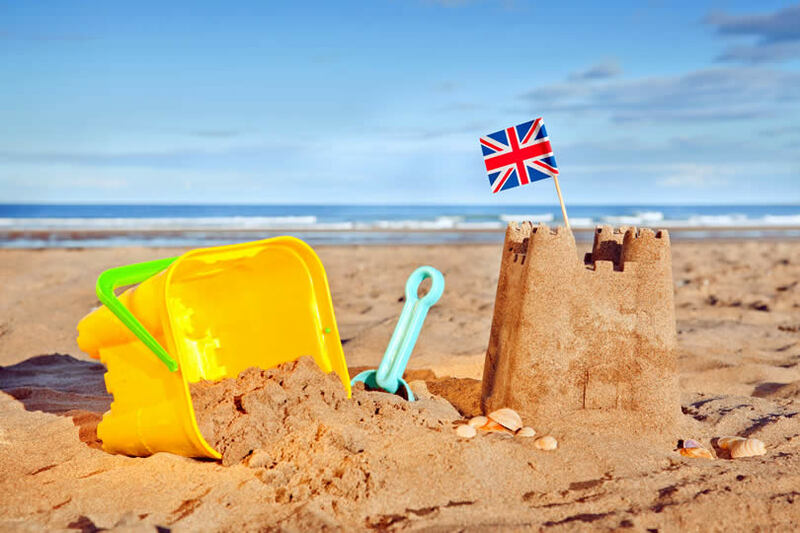 Certainly spending time on the beach is a inexpensive way to spend a trip, but it may be worth going into Broadstairs, Margate and Ramsgate themselves to see what they have to other. 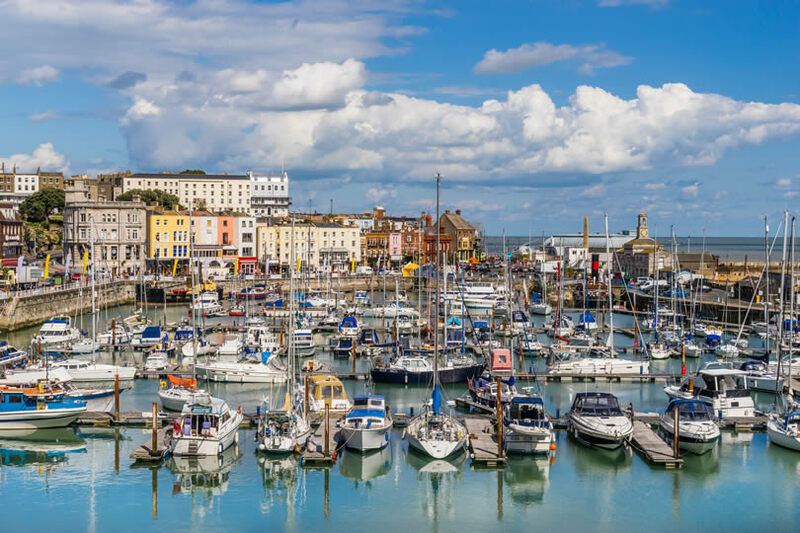 There are a number of other smaller towns too, such as Cliftonville and Westgate, which may also be worth a browse in your beach search Odyssey. For those who have enjoyed their time on this part of the world, which has been nicknamed the Kentish Riviera, you might look to making it a bit more permanent? Although most people look to Cornwall for second homes, the prices aren’t ideal for those on a budget. It is much more sensible for Londoners to look nearer to home, such as around Margate and Ramsgate. And you will still be able to find beautiful sea views. Why travel to South Downs National Park ?